Now that the book is out and a hundred or so copies have sold, I thought I ought to put up a place for feedback from readers. Actually the whole blog needs an overhaul. At any rate, if you've read the book and you have anything to say about it, feel free to leave comments, reviews, scathing tirades, etc. Incidentally, I'm having a reading and signing event in Salt Lake City on Saturday October 20, 7-9 p.m. Drop me a line with your mailing address if you'd like an invitation. Hello Friends. It is turning out to be a busy and momentus fall season. Last week I got the first copies of the new book. Yesterday I signed books at the Daughters of Utah Pioneers annual convention. And tomorrow? 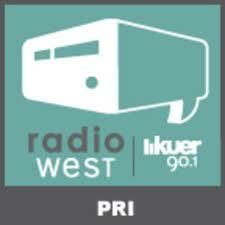 TOMORROW, Monday October 1st, I will be a guest on RadioWest, a program on KUER 90.1FM, our local NPR affiliate. The show will air from 11 a.m. to noon if you want to call in with questions and comments. Or you can catch it from the archives via podcast, or the re-run in the evening at 7 p.m.
And of course I'll be having a little book launch party at my home this coming Friday evening, with pioneer treats (maybe even bread) and a reading. And another soiree in Salt Lake City later in the month. Send me an email if you'd like an invite to either of these events. At long last, I have an actual copy of the book in hand. If you click here you can order it directly from the University of Utah Press. You can get it either in paperback ($20) or ebook ($16). I'm trying to get a button set up to order it here from the blog, but not yet. 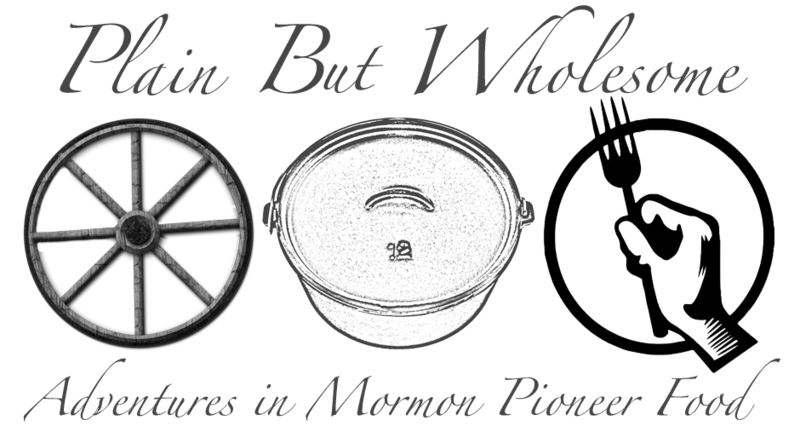 I'll be selling and signing copies at the Daughters of Utah Pioneers annual convention this coming weekend, Sept. 29th, at the Davis Conference Center, 1651 North 700 W Layton, UT 84041, from 9 a.m. to noon. I'm also hosting a book launch party at my home on October 5th. Drop me an email if you'd like an invite: pioneerfoodie at gmail. All in all I'm rather pleased with the final book. There are jillions of footnotes and sources in the bibliography. More than sixty historical photographs of food and food processes. It has a very attractive cover, and an ISBN all my own. On the down side, the font is quite small, it seems to me, so maybe the ebook is the way to go, as you can manipulate the font to a more readable size. 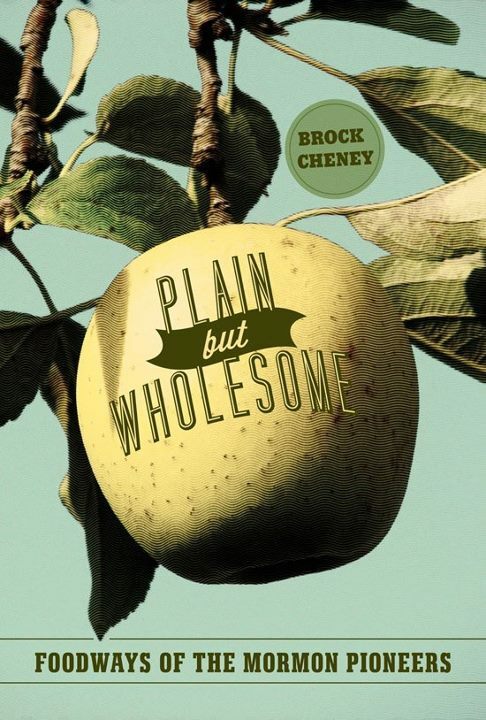 Still, if I were shopping for a book about foodways, I'd buy this one, if I do say so myself. I can't wait to hear from my first reader though, for a more objective evaluation. Are you that reader? Well, it is finally here. The University Press has copies in the office. I've ordered copies as well. I'm planning a book launch party at my home in northern Utah on October 5th. A friend of mine is also hosting a party in Salt Lake City on October 20th. I'll give a reading from the book and sign copies. We'll also have some treats made from historical recipes in the book. If you'd like to join us, please send an email (to pioneerfoodie at gmail dot com) with your address, and I'll send you an invitation with the address of whichever party you'd like to attend. Also, if you'd like to pre-order a book, let me know and I'll have one there reserved for you. So that means it is time to get serious about the next project, which is the Scandinavian food traditions. Some of you have already talked with me a little, and I'm finding there are plenty of people who still have some Scandinavian food element in their family. For the record, Scandinavia is going to be defined as Denmark, Sweden, Norway, Finland and Iceland. You would know if you had Scandinavian ancestry if your last name ended with -sen or -dater, which usually means Denmark, but -son could mean Sweden. Or more likely, your grandmother's name ended with -sen. I've developed a survey which you can access on line to help get started on the project. CLICK HERE FOR THE SURVEY. The survey requires you to submit your email address so I can follow up with an interview. I won't share your personal data with anyone, because you're my friends and that's rude. Please think about your friends and family in this as well. Maybe you don't have a Scandinavian tradition but you know someone who does. Or perhaps you have only one recipe for Danish dumplings but you know your sister-in-law has a whole card file of Danish foods. Please help me connect with those people. I had an interesting experience yesterday. I spoke with two different women about the Danish food traditions of their grandmothers. One said, "I have a dozen or so recipes. I've never made any of them, but I'd like to help you out." The other said, "I have a whole bunch of recipes and they are mine and I'm not sharing them and I won't even talk to you about them." Guess which food tradition will die first? I've been putting considerable thought towards the idea of this new book I mentioned previously, about multi-generational Scandinavian food. The more I've thought about it, the more it seems that documentation or lack thereof might be one of the sticky wickets in the project. I've made a few contacts so far (thanks to those who responded here), and it appears that one reason why things die off is that no one makes a record, or the keepers of the record refuse to share it, or the record is insufficient. To that end I thought I would write a post about how to record your family history. It is easy enough to find a recipe from your mother, or possibly even from your grandmother. Most cooks know of a community recipe book that holds a recipe from their grandmother. Perhaps your grandmother's name is even called out in that recipe book, directly attached to the recipe. Isn't that nice? Now imagine your grandmother's personal recipe book. It has lots of hand-written recipes, and she didn't sign her name to them because they are obviously hers. But if that recipe book just showed up in someone else's kitchen, they wouldn't know that all that juicy stuff came from Grandma. There's the trouble. Her record would be lost, not because it ceased to exist, but because she ceased to exist. Author's Name. Title of book or article. Publisher's name and/or where this book could be tracked down if it is privately held. Wilhemina Ericksen Morrison. "Finnan Haddie." Manuscript recipe card written by Grandma Morrison, in my possession, Mount Pleasant, Utah. So often I stumble into what is potentially a great little nugget of history, but it lacks these things. That robs potential history of context. Context is what creates meaning for historians. So for example, I might find what appears to be a historical recipe, written on a scrap of yellowed, tattered paper, perhaps even written with a quill dipped in ink. But there's no author's name, and no date or place, so we don't know where it came from or who it represents. Somebody was robbed of identity. Even worse, suppose the recipe above were stripped of its clues. Instead of written with a quill on yellowed paper (which would tell us it is rather old), what if someone had transcribed that recipe into their own computer database of recipes, without any identifying clues. Now we really have no clue what it represents, or who. So remember friends, anytime you compile history, please make note of the original sources. It could be as simple as saying "Josephine Hanks told me this story herself on July 19, 2012." Or... "This came from Irene Cruikshank Potter's recipe file. Irene was the granddaughter of English immigrants who came to Utah in 1872. She was born in Brigham City in 1880." With a few clues, anybody who read your history would have a starting point to follow up with their own research. And most of all, don't be stingy with your research. The only way foodways traditions stay alive and relevant is if they are shared. Share your food traditions to keep them alive. Traditions of any sort go dead when people stop doing them and stop talking about them. If you're not writing it down, then you better be performing the traditions with your young children, or they will disappear.